We all know if you eat a diet 24/7 filled with just junk food, you will eventually get health issues. We understand our body needs good fuel if we expect it to work well. The problem with junk food is that there are very few nutrients in it. To consume calories is not enough for the body to work well. We need to give it nutrient rich food filled with enzymes so that when the food is digested, our bodies are getting a wide variety of nutrients. This is needed for the body to build healthy cells which in turn allows the body to work properly and efficiently. If the body is deprived of these essential nutrients over enough time, guess what? It’s like a builder trying to construct a house with bricks that are falling apart. If you use poor construction materials, you are going to have a lousy result. The house is going to fall apart quickly. The same principle applies to our bodies. Our health starts to break down and we become victims of our genetic weaknesses when we give our bodies poor construction materials. Hence, disease begins its spiraling destructive process. How Important is Water Anyway? We have all been taught you can only live a few days without water, but you can go weeks if not months without food. Also, it is common knowledge that the human body is about 70% water. These are common facts. The problem is, when we start to discuss nutrition, we throw the significance of water out the window. For most people good nutrition means good food. If we really believe we can only live a few days without water and that we really are water based creatures, then possibly the single most important piece of nutrition is the water piece. I call this step, “Connecting the Dots.” We all recognize the importance of water to human survival, yet how quickly this fact is forgotten in the Health and Wellness arena. 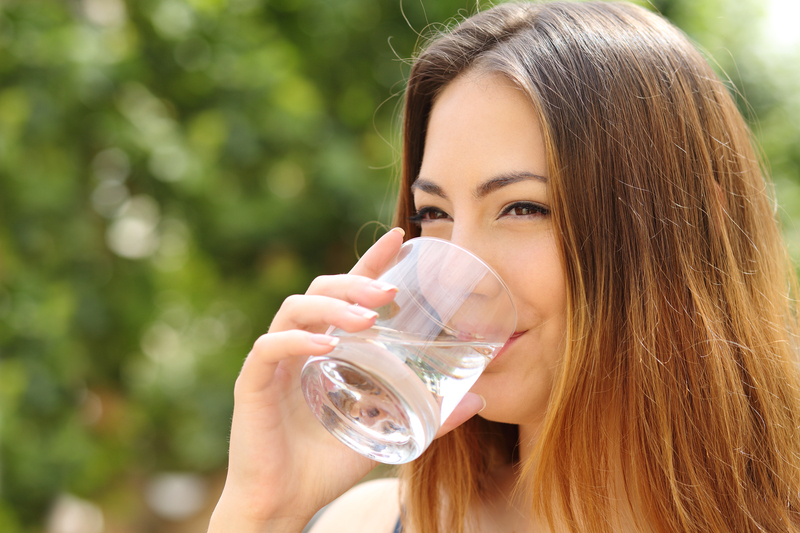 We are told how to sleep, how to exercise, how to eat healthy, how to take nutritional supplements, but when it comes to water, we are simply told to drink it. Little effort is put into what actually constitutes healthy water. Maybe, when we finally start putting action to our belief concerning the significance of water, we will begin to be open to the fact that the quality of the water we drink may have a profound impact on our health, potentially more so than sleep, exercise and food all put together. This isn’t to imply that food, exercise, sleep and proper nutritional supplements still aren’t extremely important. They are all important. It’s just that the water piece of the health pie needs to be reapportioned and given a much larger slice. Making it a priority that we are drinking the very best water possible, may be the single most important decision that we will make regarding our health. 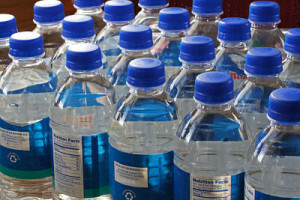 What Happens When You Drink ‘Junk Food’ Water? The most obvious thing is that you most likely will struggle drinking it. There is a reason why most Americans resist drinking enough water. Our bodies don’t know how to process the tap water, the filtered water, and the expensive bottled waters that we have access to. So our bodies are quietly telling us, “Don’t put that liquid in me because I can’t make use of it anyway.” This is why so many people say, “I struggle drinking enough water,” or, “I just don’t like to drink water unless it has something added to it.” When we do manage to drink the “junk food” water, after just a few glasses we often end up feeling bloated or like water is sloshing around in our stomachs. So, just as junk food is food with little nutritional value, “Junk food’ water would be water that our bodies have a hard time absorbing. If the body has a difficult time utilizing it, then the water is just quickly eliminated rather than being absorbed into the cells of our bodies. Unfortunately, this includes almost all tap water, filtered water, bottled water and well water. When you drink water that your body is able to utilize, it gets quickly absorbed into your cells providing wonderful hydration. This in turn gives the body the hydration piece it needs in order perform at maximum efficiency. Also, when you drink water your body quickly absorbs, guess what also happens? You will want to drink it. You will have a thirst for it. And the more you drink it, the more your body will want it. Those who care about their health usually care a great deal about the quality of the food they eat. They will go to a lot of effort and expense to make sure they are eating nutrient rich food. Once the dots are connected about the role that water plays in our health, we need to become even more concerned about the quality of the water we are drinking. 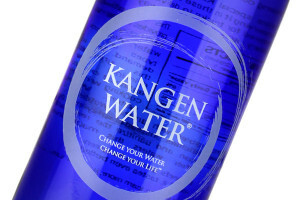 Check out my website at www.PortlandKangenWater.com or call me at 503-449-5242.